India has a unique flag, and culture. Above, there is the flag of India. With 3 Horizontal flag lines. With the pattern orange, white, and then green. There are also many different symbols for the religions there. 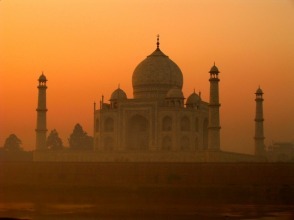 Taj Mahal is one of the biggest sites in India. It is also made out of white marble ALL WHITE MARBLE. And is also one of the 8 wonders of the world.